New regulation improves scrapie eradication program. A long-awaited scrapie rule was published this week in the Federal Register. The rule – which was first proposed in 2015 by U.S. Department of Agriculture’s Animal and Plant Health Inspection Service – has been anticipated by the American sheep and goat industry since 2016. For the most part, the industry will not notice much of a difference in the scrapie eradication program, but some segments will see a change. Particularly, changes will be noticed by goat producers and those moving animals in slaughter channels (except wethers less than 18 months of age) or transporting unidentified sheep or goats. Importantly, the rule incorporates into regulation APHIS’ long-standing policy to use genetic testing to identify genetically resistant or less susceptible sheep for exemption from destruction and as qualifying for interstate movement. The rule takes effect on April 24, 2019. Producers are asking the American Sheep Industry Association how the rule affects them. As mentioned before, most producers will not notice a change to their current practices. However, goat producers and those who move animals in slaughter channels or who move unidentified animals will be affected by the rule changes. A foundational component of the scrapie eradication program is the ability to trace diseased animals to their flock of origin. The new rule makes the identification and record keeping requirements for goat owners consistent with those requirements that sheep owners have followed for many years. Like sheep producers, producers of goats for meat or fiber and slaughter goats more than 18 months of age will be required to officially identify their animals to their flocks of birth or flocks of origin, and to maintain certain identification records for five years. 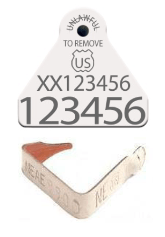 There is flexibility in the type of official identification that can be used, but the device or method must be approved in accordance with USDA regulations. A sheep or goat must be identified to its flock of origin and to its flock of birth by the owner of the animal (or his or her agent) before commingling the animal with sheep or goats from any other flock of origin. This includes unloading of the animal at a livestock facility approved to accept unidentified sheep or goats and that has agreed to act as an agent for the owner to apply official identification. The animal must be identified prior to commingling with other animals from other flocks of origin. When transporting unidentified sheep, the owner or the owner’s agent must have an owner/hauler statement that contains the information needed for the livestock facility to officially identify the animals to their flock of origin and – when required – their flock of birth. Ownership changes also require the sheep and goats to have official identification. APHIS notes that if the flock of birth or flock of origin is not known because the animal changed ownership while it was exempted from flock of origin identification requirements, the animal may be moved interstate with individual animal identification that is only traceable to the state of origin and to the owner of the animals at the time they were so identified. However, to use this exemption the person applying the identification must have supporting documentation indicating that the animals were born and had resided throughout their life in the state. Sheep and goat producers who are new to the program and are requesting their flock identification number for the first time may receive some assistance in obtaining tags. Currently, APHIS will provide up to 80 plastic flock ID tags – free-of-charge – to producers who have not received free tags from APHIS in the past. APHIS will discontinue the availability of no-cost metal tags for producers. For more information, visit USDA’s Sheep and Goat Identification page. To request official sheep and goat tags, a flock/ premises ID or both, call 1-866-USDA-Tag (866-873-2824). One of the purposes for the changes to the current scrapie eradication program is to ensure that all potential pockets of infection are captured so that the United States can be officially declared free of scrapie. Full eradication of the disease will ultimately reduce producer costs and improve trade opportunities for American sheep and goat products. A key part to this effort is identifying all sheep and goats that are moved in interstate commerce. Fortunately, the majority of sheep and goats that are moved in interstate commerce are already identified back to their flocks of origin and birth, but there are some populations that have not been previously included. The new regulation makes some changes to capture animals that previously were not required to be identified. 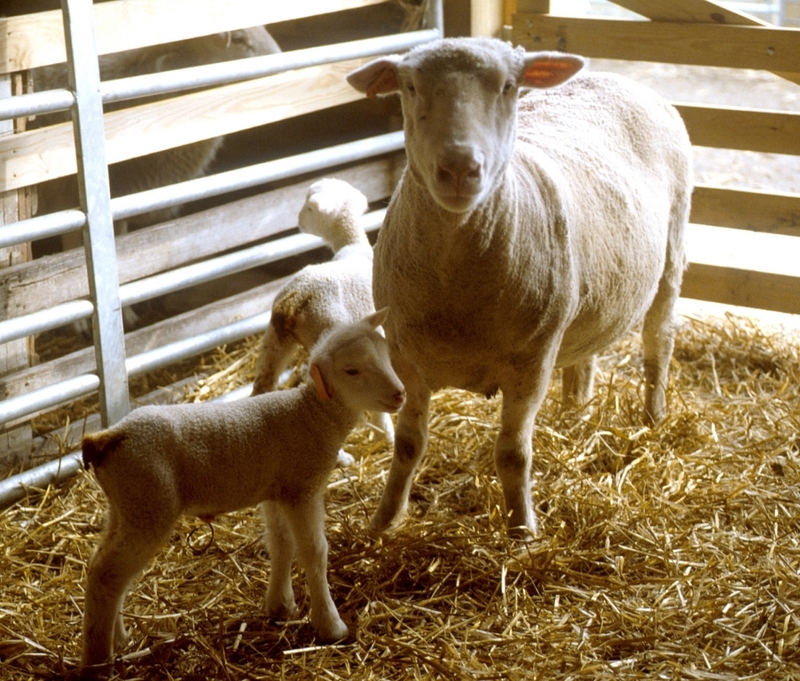 APHIS will now require that those individuals – or their agents – who move unidentified sheep or goats to a market or other premises where they will then be identified and those moving animals in slaughter channels (except wethers less than 18 months of age) to have an owner/hauler statement that indicates specific information needed for official identification and record keeping. This includes the name, address and phone number of the owner and the hauler (if different), the date the animals were moved, the flock identification number or the PIN that is assigned to the flock or premises of the animals, the number of animals, and the species, breed and class of animals. If breed is unknown, the face color for sheep must be recorded and for goats, the type (milk, fiber or meat) must be recorded. The name and address of point of origin – if different from the owner address – and the destination address must also be included in the owner/hauler statement. If moving individually unidentified animals or other animals required to move with a group/lot identification number, the group/lot identification number and any information required to officially identify the animals must be included on the owner/hauler statement. For animals in slaughter channels, the owner/hauler statement must indicate that the animals are in slaughter channels (except wethers that are less than 18 months of age). An owner/hauler statement is not required if the animals are not in slaughter channels and are officially identified or are traveling with an Interstate Certificate of Veterinary Inspection, commonly called a health certificate. Animals moved from one premises owned by the producer across state lines to another premises owned or leased by the producer – such as for grazing – will need an owner/hauler statement unless an ICVI is required. ASI will keep the industry informed as it continues to evaluate the changes to the scrapie eradication program regulations, and its impact on producers. Additional educational material will be available soon to help producers comply with the regulation changes. Click Here to learn more about scrapie and the American sheep industry. Posted by Braden Campbell at 8:00am March 29, 2019 Posted in Health and tagged Health. Bookmark the permalink.